There are hundreds of varieties (i.e. strains, cultivars) of medical cannabis, each with different medicinal effects. The unique properties of each strain arise from their synergy of the cannabinoids, terpenes, and other compounds. Finding the right medicine will likely require trying out a number of varieties, but the following guidelines can help direct your search. Most patients eventually find 2-3 different strains that work well for different purposes, such as one for daytime and one for sleep. Medical marijuana strains fall into a few major categories: indica, sativa, hybrid indica/sativa, and high-CBD. While these terms are not scientifically accurate, they are widely used in the cannabis world. Furthermore, cannabis by one name from one producer may be vastly different than cannabis by the same name from a different producer. The best way to identify a strain that works or doesn’t work for you is to have it laboratory tested for cannabinoid and terpene content, and to remember the appearance and aroma if using fresh buds. CANNABIS SATIVA strains are tall plants with narrow leaves and buds often having a spicy or flowery fragrance. These varieties are generally more mentally stimulating, more energetic and euphoric. They tend to help more with nausea and other abdominal complaints, appetite stimulation, headaches, depression and fatigue. Although side effects are uncommon and usually mild, sativa strains are more likely to cause or worsen anxiety or paranoia. CANNABIS INDICA strains are shorter and bushier plants and often having sour or fruity fragrance. Indica varieties are typically relaxing and sedating. They tend to help more with pain, anxiety, muscle spasms, and insomnia. 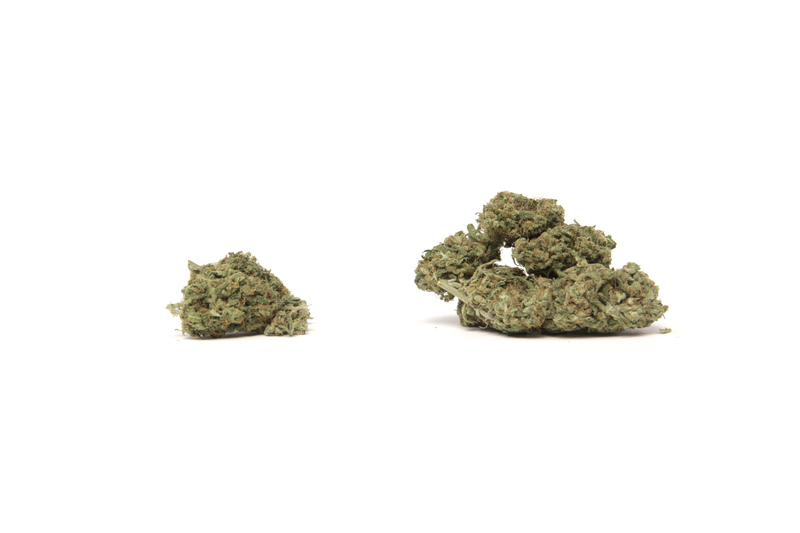 HYBRID INDICA/SATIVA strains are very common, and have been bred to achieve specific qualities. Many hybrid strains are able to produce effects that provide the best of both worlds. CBD-RICH strains have specifically been bred to produce high levels of cannabidiol (CBD). CBD has several exciting medicinal properties, including anti-anxiety, anti-inflammatory, anti-tumor, anti-seizure, and pain relief. Strains with high levels of CBD have decreased or negligible psychoactivity, making them desirable for patients who want the medical benefits without getting “high” or impaired. This can be ideal for patients who need to drive, work, etc. We recommend you consult with an experienced healthcare provider to receive personalized recommendations on cannabis strains and cannabinoid ratios/dosages for your condition. If you cannot find an expert, you can network with other cannabis-using patients that have similar conditions and find out which strains work the best for them, but remember, unless you purchase from the same producer, you may end up with totally different product. See our shopping guide for more tips on how to find the right medicine for you. Do you want to feel confident in the advisor role helping patients or achieve the best possible results as a cannabis using patient?